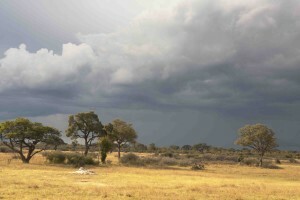 If you are an African, you live by the seasons – we have two very distinct seasons – one wet and the other dry. Between these two seasons we have a beautiful period of about two months when the grass is still green, the bush lush and temperatures are declining but still very comfortable with zero humidity. April/May in Zimbabwe is to be experienced, we like to take off for the Zambezi Valley with fishing rods and binoculars and lots of sun cream. Then there is the pre summer season – hot, dry and unforgiving. The veld is bone dry, grass bleached almost white by the sun, trees shed their leaves and visibly pant for the rain that is to come. Everything seems to go into hibernation. Our dry season is about 8 months on average; dust devils prance across the veld, fires rage and give us magnificent sunsets. Then comes the rain, towering skyscrapers of cumulous clouds, black storms across the sky, lighting and thunder, the typical storm lasts half an hour and then the sun comes out and who can forget that smell of the earth being reborn. During our war of Independence, the one thing that gave me assurance that the world, my world, was not coming to an end was the sight of farmers, some on tractors pulling huge earth turning machines and some on foot behind oxen and some on foot with hoes in their fields, preparing for the rains. Planting food is everyone’s preoccupation whether you are a farmer or not. Perhaps it is because we only get one shot at it each year, miss that and you starve. It is the one sure sign that we are here for another year. It is not just food that we are concerned about, its water. If we cannot store enough water during the wet season, then the whole year may be difficult. In the Rhodesian days, the simple rule of thumb was to have three years supply in store in a good year. This seemed to work and enabled us to carry our communities over the seasons when the weather failed us. What many do not appreciate here is that it is not like that in many other places – we have a mean variation in precipitation of 40 per cent year on year. That is massive and compares with perhaps 5 per cent in the main cropping areas of the USA and Europe. They also have snow in their cold season and this aids water supplies. California could not live without the snow on its mountains. So when, like this year, the early planting rains fail almost completely, it is very serious stuff. Day after day this year we have watched the satellite photos of the sub region and seen this little patch of brown where there should be blue. 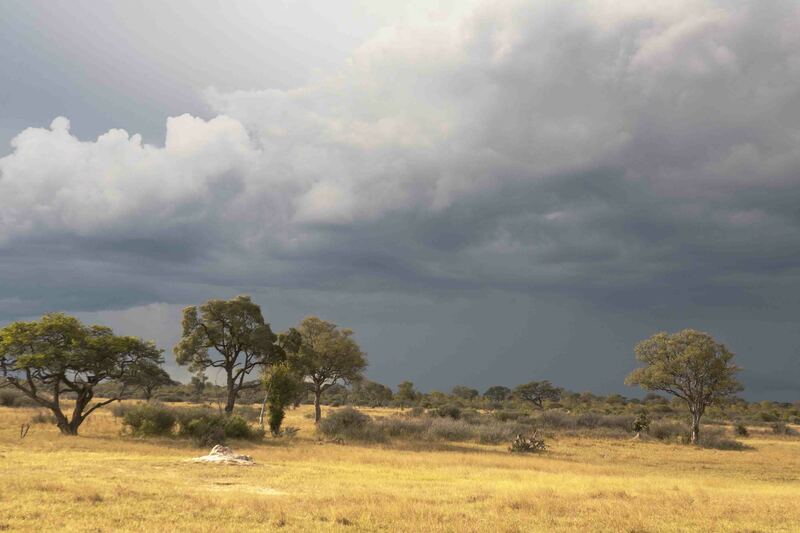 The rains seem to swirl about us – Zambia has had a great season – especially to the north of Lusaka, the upper Zambezi catchment is holding record volumes of water in its flood plains and swamps. But in South Africa and Zimbabwe, the early planted crops have failed and much of the country has nothing in the ground. Some estimates say that 70 per cent of South African grain producers have no crop at all. Then, in the past month, we have suddenly had widespread rains, rivers have begun to flow and dams are rising slowly. Yesterday I was in Mutare for the day and we all commented that the veld looks much better and some crops looked as if they might produce something. But the Odzi River, normally running strongly at this time of the year was barely running at all, The Lesapi Dam was well down – roughly 60 per cent full I would say. In Bulawayo the Ncema and the Umzingwani Rivers have been bank to bank and the Inziza Dam, the largest in Matabeleland is rising slowly – sitting now at about 70 per cent. But from Shangani south, there is still very little grazing and the prospects for livestock holdings looks bleak. Some water is now available, but not enough. Large irrigators like Chisumbanje and Triangle/Hippo will have to curb their demand this winter. The most recent food supply assessments have continued to deteriorate – the numbers estimated to be needing food aid this winter and into the early part of the next wet season is rising – from 1,7 million in January to 4 million today. Food agencies are gearing up – the World Food Programme is planning to bring in 80 000 tonnes of basic foods, the USAID and DIFID have already mobilized resources for cash support to needy families (300 000 a month for 10 months) and USAID are mobilizing grain for local distribution to affected areas. The most significant conclusion of recent assessments of the grain crop is that we may now expect farmers to reap 350 000 tonnes – against earlier estimates of 200 000 tonnes. It still means we will need 120 000 tonnes a month of maize imports and 20 000 tonnes of wheat as well as perhaps 15 000 to 20 000 tonnes of soybeans. These are large numbers in a region with very limited Port, road and rail linkages. Since little or nothing will be available in the region as a whole, nearly all of this will have to be imported from overseas. When it rains we seem to relax a bit. We assume that the rains will mitigate the earlier dry conditions and help us meet our needs. We are wrong, it is too late to salvage much from the planted crops, crops planted now will not have enough sunlight hours or the temperatures to mature properly and our dams are far from full. But even so we need to appreciate the full extent of the crisis we face this winter, our cash reserves are totally depleted with nothing available for any emergencies. Our economy has shrunk by 20 per cent since 2013 and this decline is accelerating. Last week we were informed by our media that Zimbabweans are now the poorest people in Africa on a per capita basis. In addition aid agencies like UNICEF warn that child malnutrition is at record levels and is affecting many hundreds of thousands of children who were being stunted, both physically and mentally by poor nutrition. I know from my own Constituency that perhaps a quarter of all children go to school in the morning hungry and are unable to concentrate or work properly in the classroom. This affects even middle income communities. With a school budget of just $20 per head, per month, we simply do not have the means to support school feeding programmes that exist in many other countries in a similar situation. The root of all our problems and difficulties is a Government that has failed its people and refuses to let go. Bad policies, poor implementation and lousy corrupt management has torn out the foundations of what was, at one stage, the second most sophisticated economy in Africa with a standard of living above all African States except South Africa. The rain that has fallen in the past month does nothing to resolve either our food and water crisis or our failure in Governance. We simply cannot afford to be complacent – what we need is a complete change at the top and new ideas, free of the shackles of the past.